Sometimes traditional financing can be too demanding. Well, there’s a better, new alternative out there which you can take advantage of. Peer-to-peer lending means loaning people who don’t have the right qualifications to access traditional financing. Returns are 6-10% of money invested. 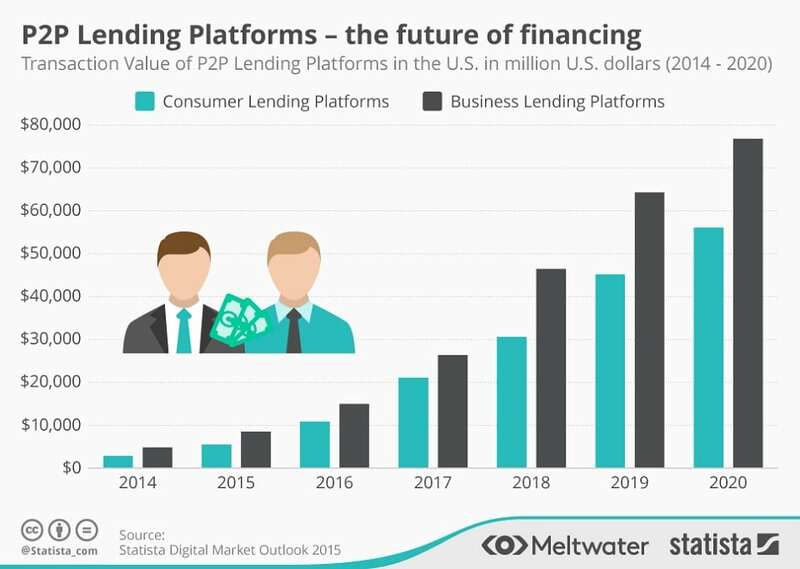 Online marketplaces such as Lending Club connect borrowers to investors. These marketplaces screen the borrowers, facilitate the transaction and service the loans. Borrowers use loans to consolidate debt, improve their homes, finance major purchases, get business loans, etc. Lending Club boasts over 2.4 million customers with more than 35 billion dollars being borrowed. So this is no fly-by-night trend.